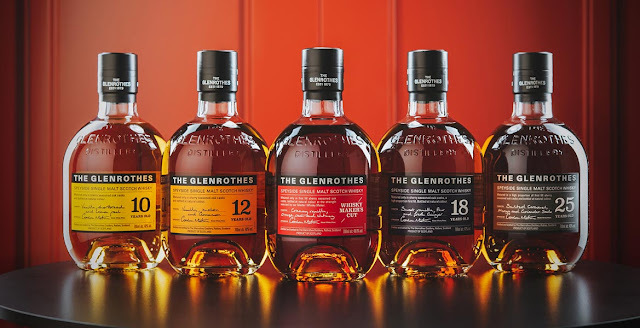 The Glenrothes Soleo Collection represents a major revamp of the core range of the increasingly popular Speyside distillery. This sees the brand move away from its Vintage and Reserve expressions and towards more traditional age statements, which range from 10 to 40 years old. The Soleo Collection are all 100% matured in ex-sherry seasoned oak casks and is aimed to appeal to premium whisky drinkers. The range features age statements at 10, 12, 18, 25 and 40 years of age, plus the no age statement Whisky Maker's Cut. All are of natural colour and are available through specialist whisky retailers globally. The 40 years old expression will not appear until early 2019. The Glenrothes distillery is located in the small Speyside town of Rothes and has a current capacity of 5.5 million litres per year. The whisky produced there has traditionally been used in popular blends such as Famous Grouse and Cutty Sark, and the distillery has long been associated with these brands. Glenrothes was founded in 1878 by James Stuart & Co. and has had its fair share of bad luck in its early history with two bad fires (in 1897 and 1922) plus an explosion in 1903. The distillery is currently owned by The Edrington Group. 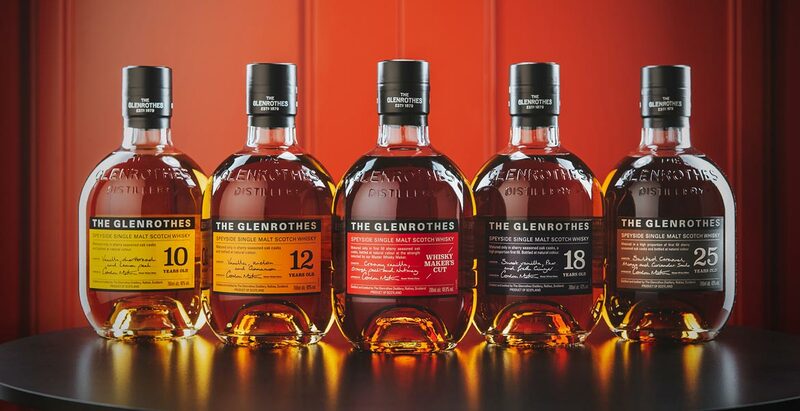 The range are bottled at different strengths with the 10 and 12 year olds at 40% ABV, the 18 and 25 year olds at 43% ABV and the Whisky Maker's Cut at 48.8% ABV. The prices are - 10 years old (£37), 12 years old (£42), Whisky Maker's Cut (£55), 18 years old (£100) and 25 years old (£375). The colour is golden yellow and the nose is packed with sultana and fudge aromas. Then come further aromas of golden syrup, brown sugar and stewed apple with a late hint of candied oranges and ginger. 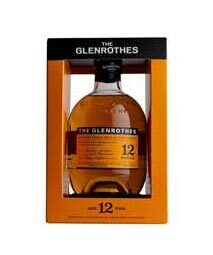 On the palate this whisky is initially very sweet and sugary with plenty of golden syrup and honey to the fore. Sugary fudge and dried fruit notes then develop - think of sultanas, raisins and candied citrus peel. Some late dried apple is also evident, as are some notes of cookie dough and warming wood spices (imagine cinnamon and gingerbread especially). The finish is slightly shorter than anticipated (particularly once the sugar sweet characteristics fade) and gets dry, hot and peppery quite quickly. The colour is deep gold and the nose is immediately highly fragrant. There are aromas of raisin, orange zest and caramel evident. These are backed up by warm ginger cake, butter, cinnamon and cloves. On the palate this whisky has a creamy butterscotch-like mouth feel with plenty of preserved orange and candied peel up front. Then come notes of caramel and dried fruits, especially raisins and sultanas, along with some pleasant baking spices (think of cinnamon and all-spice in particular). The cloves from the nose appear towards the end, as does a touch of cocoa powder and white pepper. The finish is long and warming with the sweet ginger cake-like note holding well and combining with the earthy baking spices. The colour is golden yellow with a hint of amber and the nose has plenty of green apple, golden syrup and baking spice aromas. The combination is reminiscent of apple crumble or apple sponge pudding. With water it opens more to reveal white chocolate and sultanas. On the palate this whisky has an instant peppery quality, which almost fizzes in the mouth. It feels vibrant and punchy. Once it settles a little then a variety of characteristics begin to reveal themselves - dried green apple, boiled peardrop sweets, golden syrup and butterscotch rise first. These are followed by soft dried fruits - sultanas, candied lemons and a hint of apricot - and something reminiscent of spiced sponge cake. With a splash of water it becomes softer with a toffee, crumbly brown sugar and fudge-like feel. 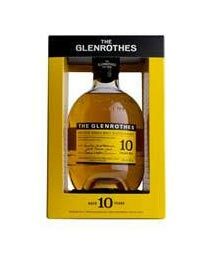 The finish is of decent length and is extended by the green apple and peppery notes. The colour is deep amber and the nose has an exquisite fragrance - a wonderful mix of dried fruits (think of raisins, dates, apple and orange peel), moscavado sugar and nose-tingling spices such as cinnamon bark and cloves. Underneath are hints of cocoa, lavender and menthol. On the palate this whisky feels equally as exquisite. It has immediate grip and bite with notes of caramel, brown sugar and warming peppery spices hitting first. Then comes the increasingly influential fruit characteristics - imagine dried apple, sultanas, raisins, prunes and dates - and a distinct chocolate/cocoa powder note. It feels classy and luxurious. The initial peppery spices mellow and become more warming - think of gingerbread, cinnamon and mace, with a hint of liquorice and menthol. The finish is long and becomes increasingly warm, especially once the sweet and fruity notes disappear. 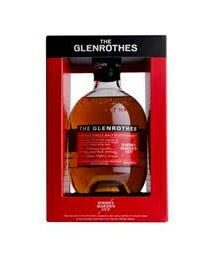 * The Glenrothes 25 years old was not supplied as a sample. We hope to review this as and when we get to taste it. This new Glenrothes Soleo Collection is a nice range of whiskies and offers a spectrum of flavours available from ex-sherry cask maturation. The 10 and 12 year olds are not the most complex whiskies but show what can be acheived from ex-sherry casks at that age and are good examples at keen prices. The Whisky Maker's Choice is big and bold with a captivating vibrancy, while the 18 years old is extremely classy and our favourite, if we had to choose one. It is a real 'sip and savour' whisky that deserves to have time taken over it. The brand has taken a brave step in ditching its Vintage and Reserve statements, something which made it different from its competitors and was actively promoted as such. Only time will tell if it will achieve their aims and goals.